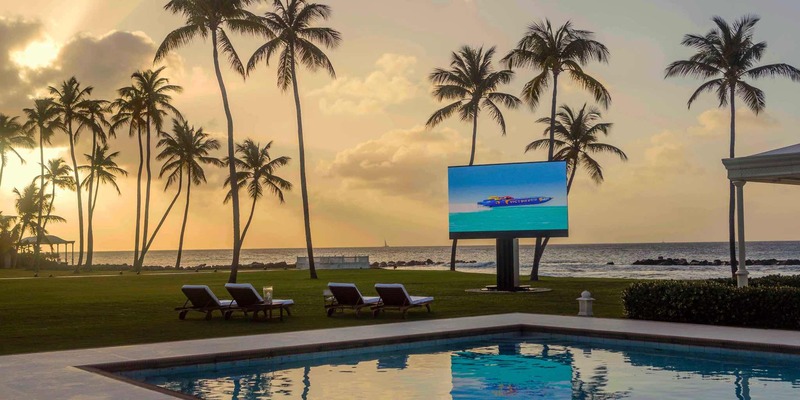 Enjoy the outdoors entertaining guests with the world's largest Outdoor LED TV. 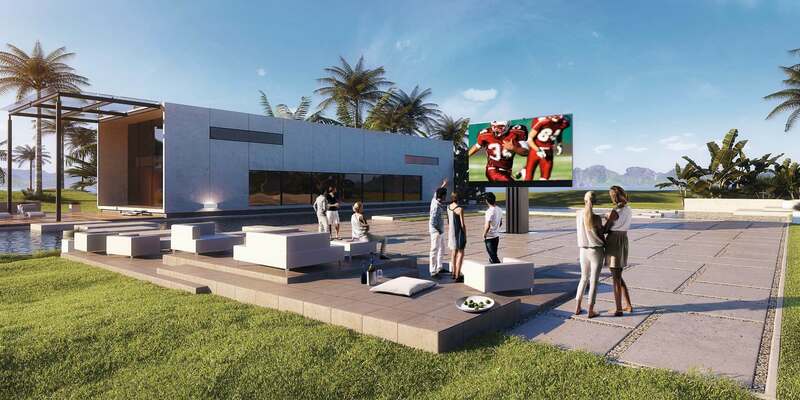 C SEED 201 and C SEED 144 are a motorized, fully automatic, completely retractable Giant Outdoor LED TV, for the ultimate custom high-end entertainment system, in residential and commercial applications. 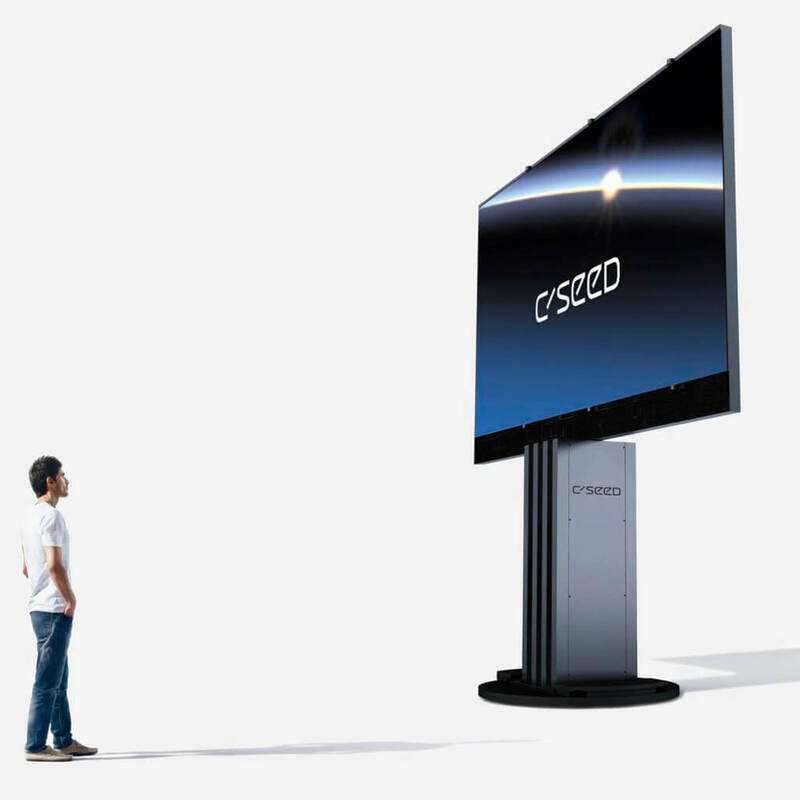 The C SEED 201 Giant Outdoor LED TV is a "best of the best" reddot design award winner, Design by Porsche Design Studio. The C SEED 201 packs its ultra-powerful technology into a rigorously streamlined aesthetic created by Porsche Design Studio. The simplicity of form, durable high-grade materials, and impeccable workmanship are combined in an austerely imposing installation. The C SEED 201 is hidden in its underground storage casing waiting for its activation by a simple push of a button on the remote control. 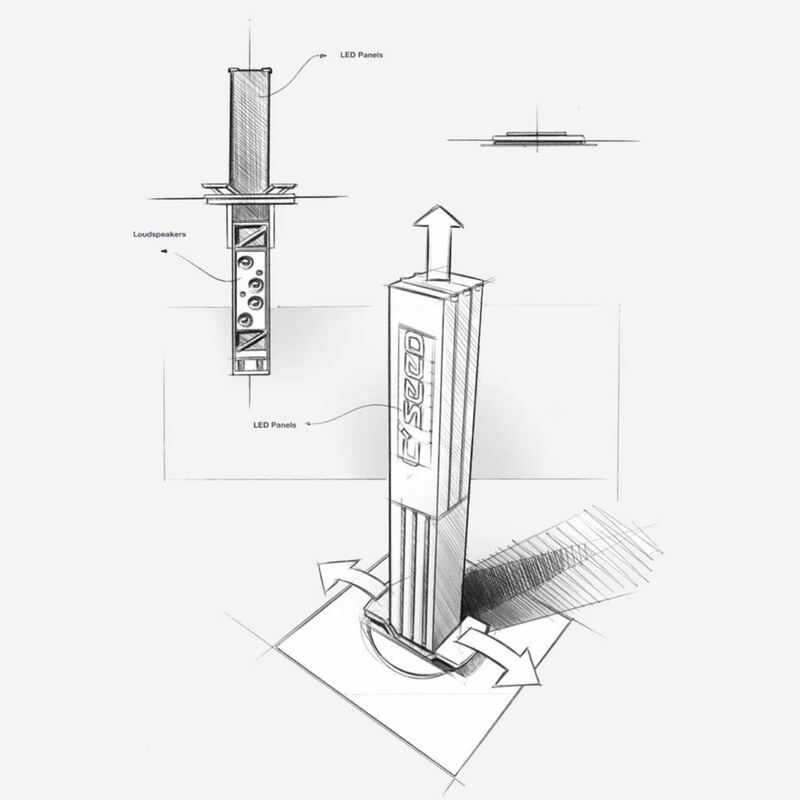 The C SEED 201 column takes 15 seconds to achieve its full height of 4.65m (15 ft.) with effortless ease. Seven massive LED panels unfold equally soundlessly within the next 25 seconds. The panels interlock to form a seamless TV screen that bursts into action with revolutionary pixel power for ultra-high resolution images in any daylight environment, including direct sunlight. Each of the over 2'220,640 LEDs process image data up to 100,000 times per second, enabling the C SEED 201 to display 281 trillion radiant colors. No other technology generates such an extraordinary color spectrum with that precision and reliability. 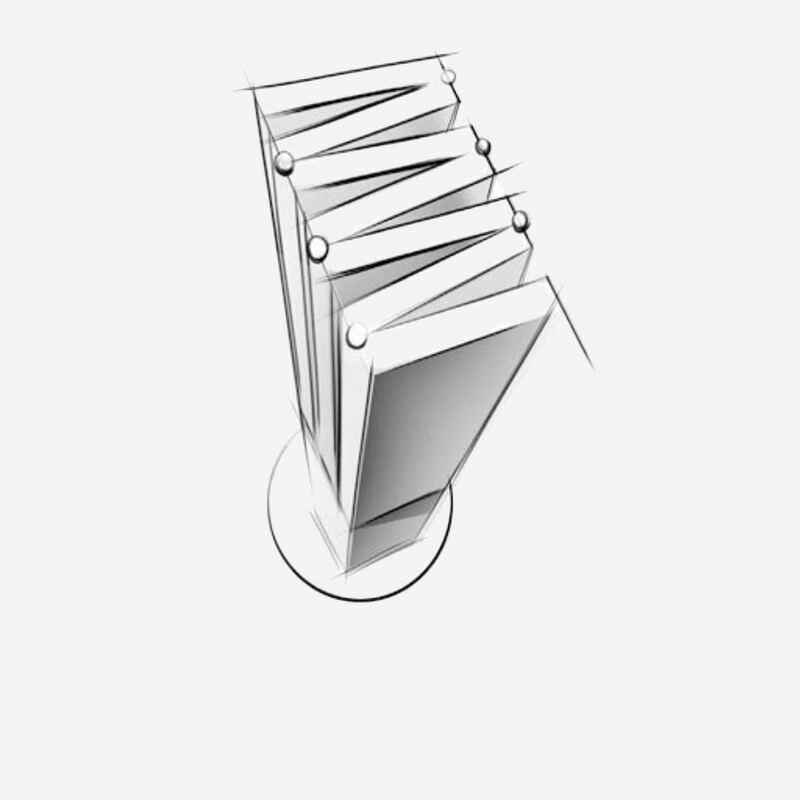 With the same ease, the C SEED 201 retracts into the ground for space saving storage when not in use. The C SEED 144 offers all the spectacular unfolding action and huge-screen technology of the C SEED 201 designed by Porsche Design Studio, repackaged to accommodate more space-restricted outdoor settings. Both unit sizes share the same design concept, kinematics, and technologies. The size difference results from the number of seamlessly unfolding LED columns, with five columns making up the 144 inches. The practical advantage of the C SEED 144 is the compact size of its underground storage compartment. This may prove especially helpful in retrofitting projects, installing C SEED outdoor TV in existing poolside or terrace spaces. 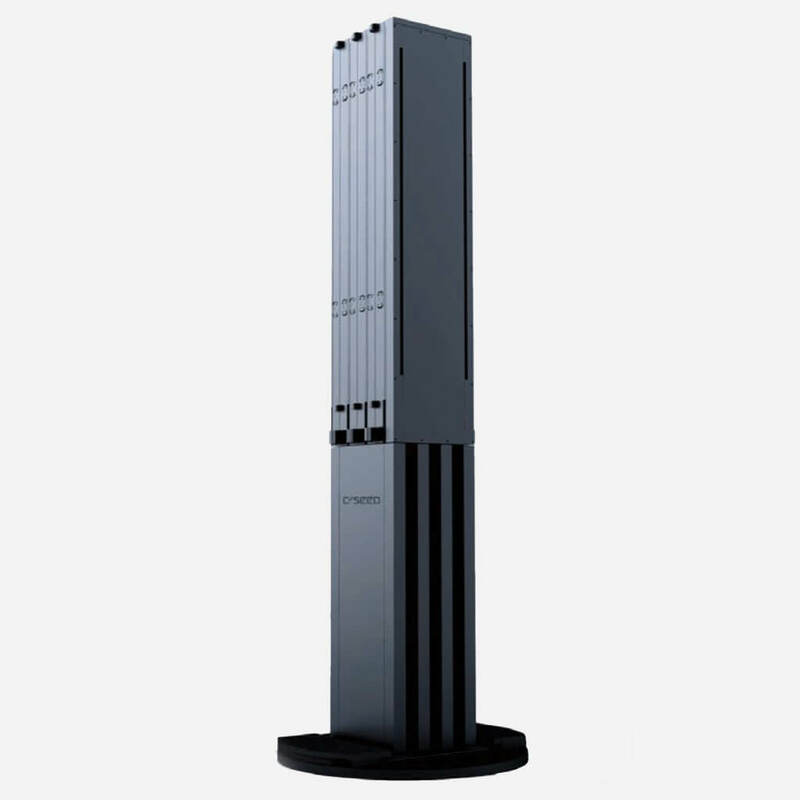 After activation via the remote control, the cover slides open to raise the black monolith in only 15 seconds to reach its full height. 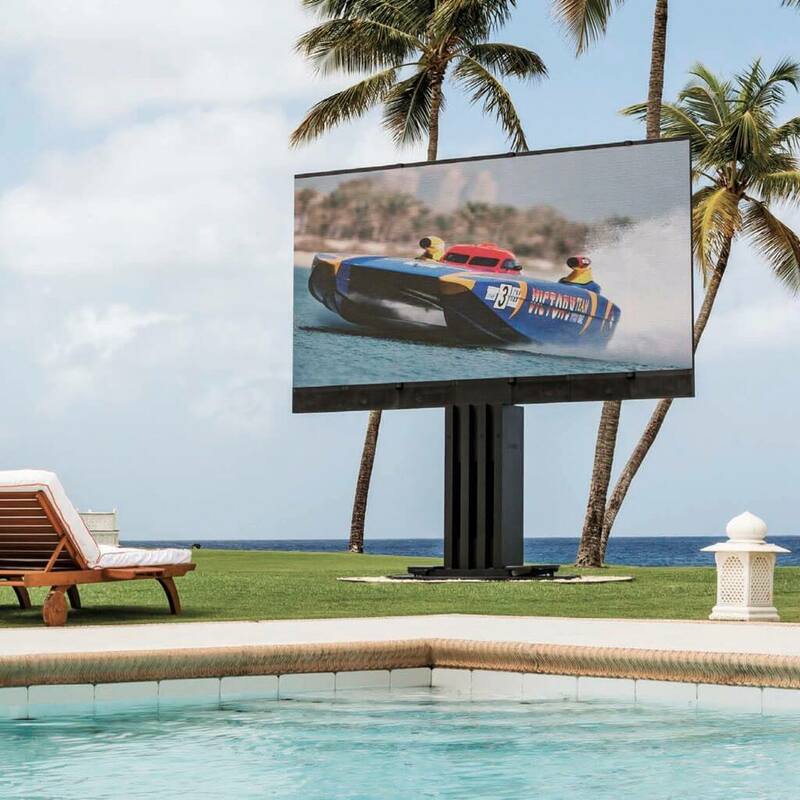 In a "butterfly-like movement", five massive LED panels unfold to the outdoor LED TV with a diagonal of 144 inches (3.65 meters) ensuring a brilliant performance even in bright daylight conditions. The C SEED 144 sound system comprises of eight broadband speakers for the left and right audio channels, and one subwoofer for low frequencies. The speakers are specially designed to withstand the rigors of outdoor use. For more space-restricted outdoor setting. Of all the large-format TV displays for private use, LED screens to produce far and away the most brilliant colors. Nothing competes with the staggering range of vibrant high-resolution colors that make the C SEED 201 screen come alive. Along with the screen exceptional luminosity of 4,500 nits and high refresh rate, the best pixel pitch ensures a crystal clear, true color images, even in bright daylight conditions. The C SEED 201 processes image data up to 100,000 times per second this is 500 times the refresh rate of a modern TV. Enabling the C SEED 201 to display 281 trillion radiant colors. This guarantees owing pictures with an unseen color depth. The CSEED 201 grew out of a passion for technical excellence and innovation. Wide-ranging expertise and research capability were required to develop such a visionary product. Inventive engineers successfully met the challenge. - Ultra-luminous 4.500 nits LED modules. - Broadest color spectrum available. 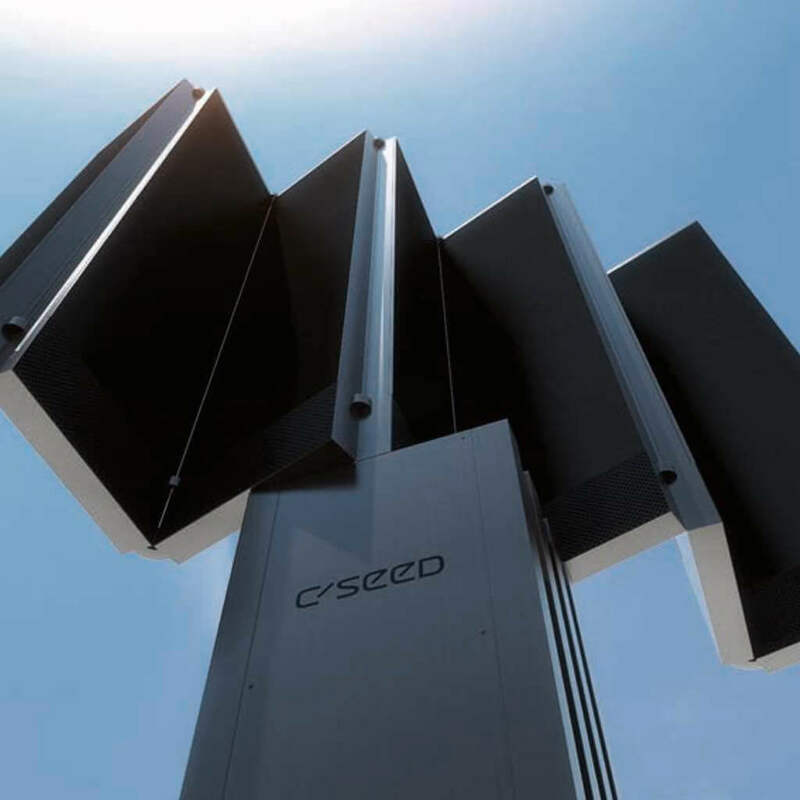 The C SEED 201 sound system comprises 12 broadband speakers for the left and right audio channels, and 3 subwoofers for low frequencies. The speakers are specially designed to withstand the rigors of outdoor use. By remote control the C SEED 201 display can be raised or lowered as well as rotated up to 270 degrees to provide the optimum viewing angle. Ensuring peace of mind, for the best price, professional custom installation, and warranty protection of your ultra high-end, motorized, Giant Outdoor LED TV.